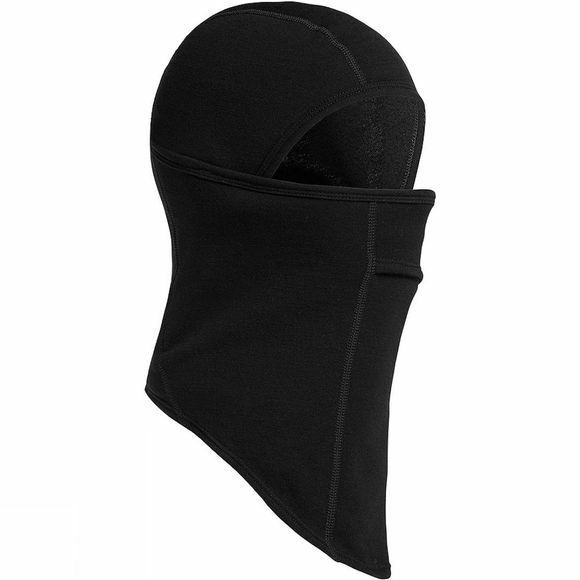 Warm, fleecy and with full coverage for foul-weather days of hiking, skiing or even commuting around town, the Apex Balaclava provides breathable protection from the elements. The Apex features Icebreaker's 200-gram brushed RealFleece fabric, made from a super-soft and warm blend of Merino wool and nylon with a touch of Lycra for added stretch. The overlapped opening provides better protection in nasty weather and pulls down under you chin in milder conditions. Icebreaker also included a small ventilation flap over the mouth for better breathability, and flatlock seams to eliminate chafing.